Includes Uno S Storage Cabin Bed with pink doors. 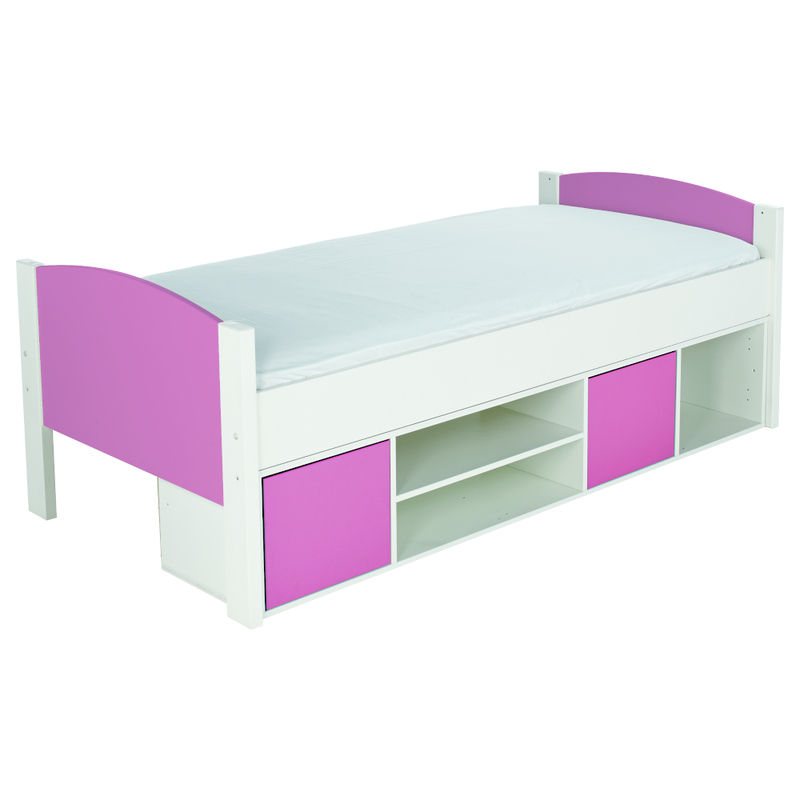 Cabin Bed Frame including Underbed Storage Unit with 2 pink doors. White lacquered finish with pink feature doors and headboards. New push-to-open door fittings to replace conventional handles on the Underbed Storage Unit.